"I had been with other driving instructors before Sam... Sam was able to explain things in a way I was easily able to understand...The way she put things across made sense and I soon found my driving had become more confident as I had a better understanding. If hadn't of met Sam I wouldnt be driving today.. Before I came to Sam I had given up on driving and seriously thought I would never be able to drive or pass my test. A friend persuaded me to try one last time and go with Sam.Thank goodness I did.I will be forever grateful to you Sam." "Keep shining Sam!!! 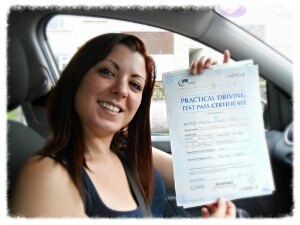 I was in a hurry to pass my driving test and Sam got me there quickly giving me the confidence and knowledge to pass my driving test first time. Excellent teaching methods. Thank you Sam I will never forget you." "Learning to drive was a thing that did not come easy to me, in fact I had been learning to drive for two years and been through four instructors before I found Sam. Within weeks she had completely changed my view of driving. Sam, bit by bit chipped away at my "can't do attitude" and I actually started to enjoy my driving lessons! She completely put me at ease from my first lesson and as time went on I didn't dread my lessons any more and it just felt like I was going for a drive with a friend. 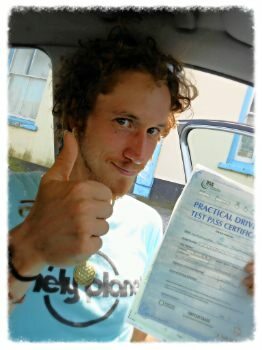 I passed my test (I never believed I ever would) and it was Sam who gave me the confidence to do so. I'm out on the road now and I know that I am a safe and competent driver thanks to Sam." "I would highly recommend Sam. She was patient calm and helpful. She made my driving lessons an enjoyable experience. She was professional yet fun and truly lovely person. Thank you Sam." 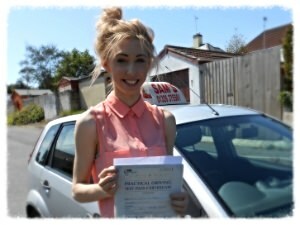 "Sam was an absolutely wonderful driving instructor and I couldn't imagine learning to drive with anyone else. 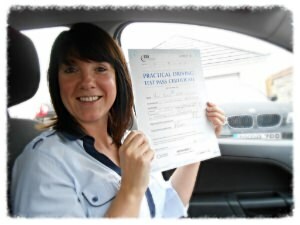 I was told about her by my good friend who had passed first time, so knew she must be a great instructor! 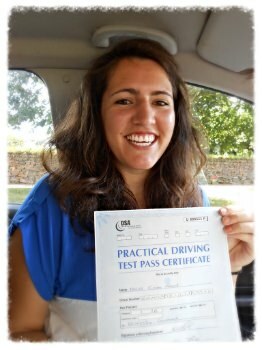 Sam quickly made me feel confident behind the wheel through her friendly and calm teaching manner. She was extremely professional and I always looked forward to my weekly driving lessons. 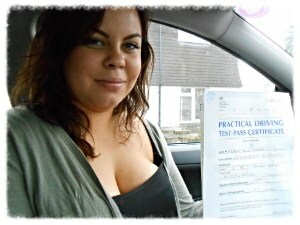 Thanks to Sam I had the confidence to pass first time and I wouldn't hesitate to recommend her to anybody. Thank you so much Sam!" "Sam taught my mum to drive so when it came to choosing a driving instructor, Sam was my first and only choice for my driving lessons. I was nervous and scared but Sam soon put me at ease. I now know that i am capable of driving safely on the roads."